It has long been said that the greatest artists are not merely “people pleasers”, but are also unafraid to challenge convention and cause controversy by proposing new ways of being and doing things of which not everyone may necessarily approve. By that measure, the man long dubbed the “Warhol of Japan” can certainly be assured of legendary status. 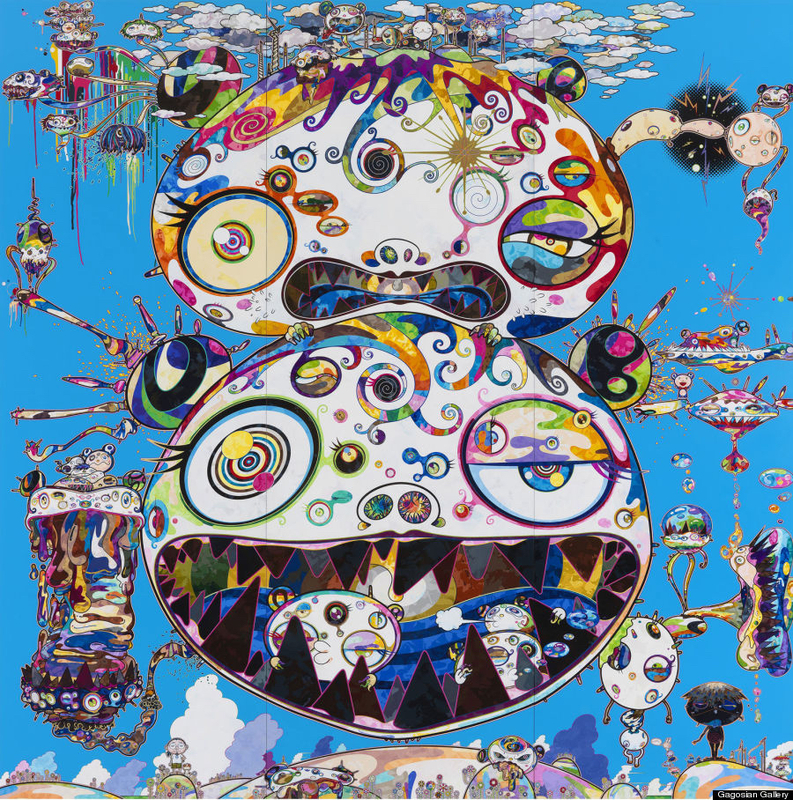 In making this observation about Takashi Murakami, what we are referring to – of course – is the artist’s readiness to combine the lofty ideals of traditional high art with the squarely commercial aims of what might be termed “low art”. Is Murakami more publicist than artist, then? 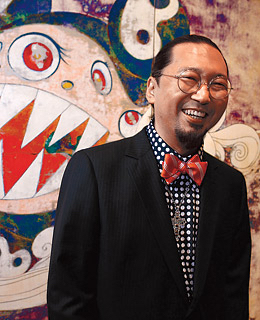 Those not given to admiring the other obvious artists in the pop-art tradition to have generated monumental commercial success in part due to their willingness to provoke controversy far outside the art world – such as Warhol, Damien Hirst and Jeff Koons – may be tempted to extend a similarly belittling judgement to Murakami. On the surface, that may seem quite reasonable. After all, it was Murakami’s work with the fashion and luxury powerhouse Louis Vuitton that largely explains the artist’s worldwide name recognition today, while further collaborations with pop superstars Kanye West and Pharrell Williams were lamented as “unfortunate” by Farago. 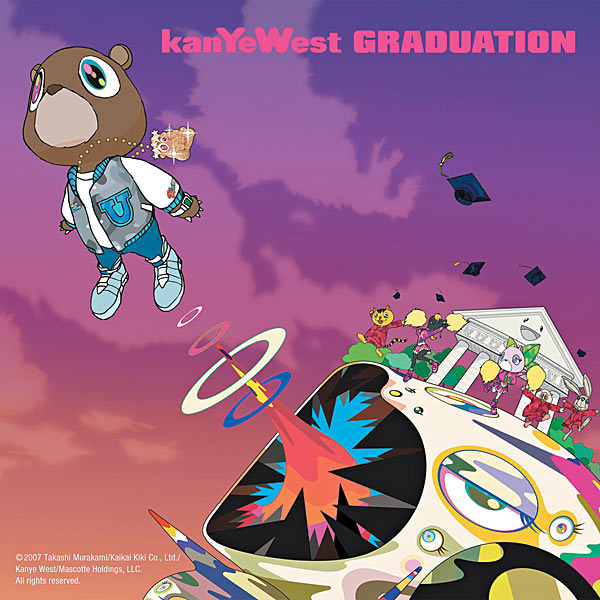 ‘Graduation’ is the third studio album by American hip hop recording artist and record producer Kanye West. It was released on September 11, 2007 by Roc-A-Fella Records. Murakami can hardly stand accused of being the only artist to boost his profile through a link-up with a luxury brand, other examples in recent years having included Tracey Emin with Longchamp and Hirst with Alexander McQueen. 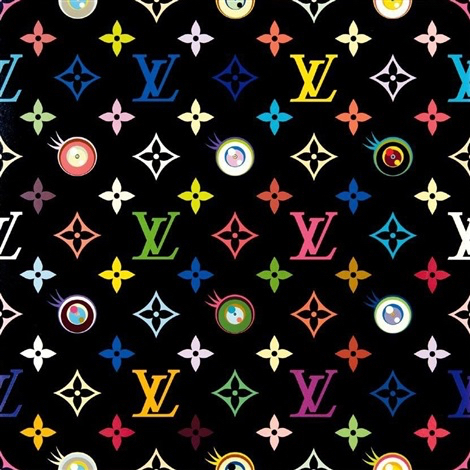 However, the Tokyo native has gone further than most in blurring the lines between high art and commerce, including by incorporating the LV monogram into his paintings and installing a Vuitton boutique in his retrospective at the Museum of Contemporary Art in Los Angeles. If anything, understandable attempts to characterise Murakami as a Japanese Warhol might rather undersell the sheer breadth of his creative and commercial activities. This is a man, after all, who is as renowned for his running of a gallery promoting young Japanese artistic talent as he is for hosting a weekly radio talk show in Tokyo. A strong and enduring commitment to “business-art” is at the very centre of what it is to be Murakami. This is a man in thrall to the tenets of American Pop, but who is also passionate about overturning its hegemony by capturing both the Western market share and the popular imagination with an art that is unmistakably Japanese, in the process helping to reverse his country’s cultural inferiority complex to have emerged in the decades after World War II. 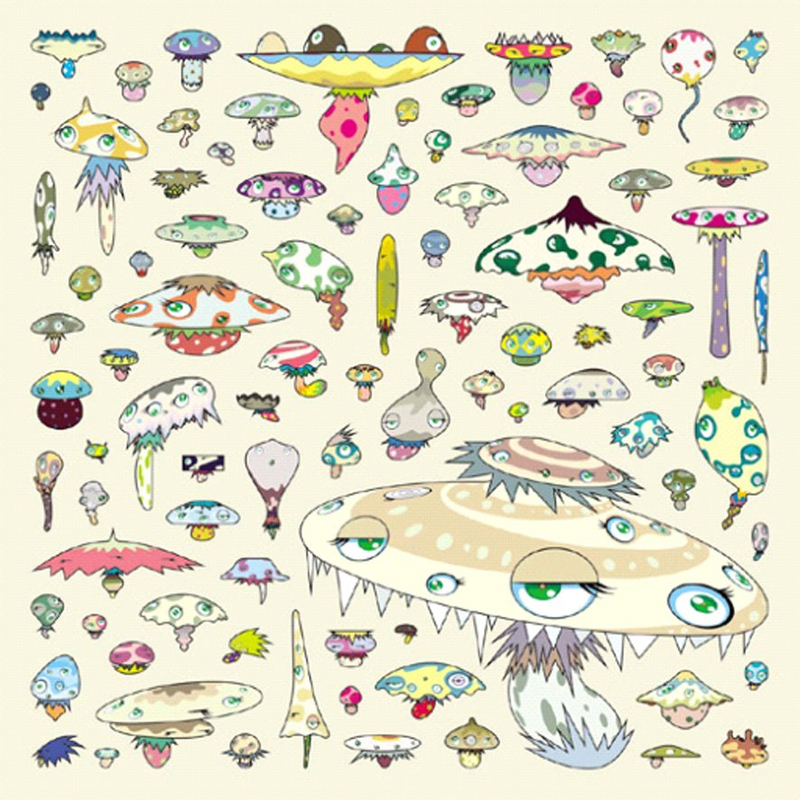 One example of the deep and sincere impulses that have powered forward Murakami’s seemingly touch-all-bases creative practice is his use of mushrooms in his work, a reference to both popular drug cultures and historical concerns. According to curator Paul Schimmel, the artist’s fascination with this particular visual device can be traced to a story his mother told him as a child about being born in a city “passed over” by the US atomic bomb – on the day of the drop, there was too much cloud cover over Murakami’s hometown, which led to it being avoided as a target. Murakami is particularly strongly associated with the innovative “Superflat” aesthetic, which combines classical Japanese art with contemporary Japanese pop culture. At a glance, his typically highly vibrantly coloured, graphic works may seem to communicate a relatively straightforward playfulness, only for the viewer to also detect a certain underlying subversion. This is befitting, for while Murakami is certainly a master promoter, he also uses the benefits of such a skill to make important cultural critiques. Murakami has commented that the artist is someone who understands the borders between worlds and makes an effort to know them – and by that measure, there can be no doubt of this lively individualist’s success. That has, quite naturally, manifested in blockbuster exhibitions and a name known across the planet, but also in an oeuvre that marks him out as an artist, curator, cultural entrepreneur and critical observer of contemporary Japanese society on a par with any produced by his country in recent decades. That may just be as good a quote as any for summing up much of the approach of a creative maestro who has probably been misunderstood almost as often as he has been celebrated.